Poncho is from Colorado, and he was an outdoor dog. The person who rescued him surrendered him to AGR. He was adopted but his guardian has suddenly passed away, and Poncho needs to find a new forever home! He has an interested adopter but we want to make sure everyone knows about this sweet guy! 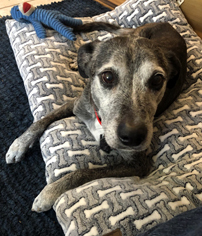 Zoomie is a senior whippet mix. He was a stray but has a very sweet personality, and he is good with small dogs and probably with cats. After several tries to get Zoomie's infected puncture wounds under control, he is now on the appropriate antibiotics. He is also on Valley fever and thyroid medication. Fortunatly, he is starting to feel much better. His foster Mom reports he prances with excitement when it's time for a walk. He loves people and travels well in a car. 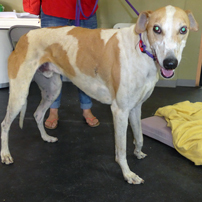 As soon as his puncture wounds are healed, Zoomie will be ready for his forever home. He is a sweet boy and has been a trooper through this process. 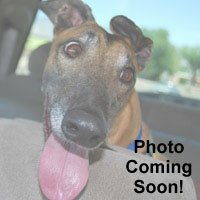 We will receive new hounds in the new year... please check back and watch our Facebook page! As soon as we have more information about incoming dogs, we will post it.